Our mission is to PRESERVE open space & parkland, PROTECT park & natural resources, and PROVIDE healthy nature-based activities. Tuesday – Friday: 12:00 p.m. – 4:00 p.m.
Saturday & Sunday: 11:00 a.m. – 4:00 p.m.
Lookout Mountain Preserve is open every day 8:00 a.m. to dusk. Please #playbyday and respect all park hours. NOTICE: Lookout Mt Nature Center closed tomorrow 4/4 for planned water outage. Be aware all restrooms on outside of the building will also be closed. Thanks for your patience. Save the date for our twice-annual Trails Talk Forum! We will be covering all things trail-related including the opening of a segment of the Peaks to Plains Trail in Clear Creek Canyon, upcoming projects, volunteering, and more. Tuesday, May 10, 6:00 p.m. at the Foothills Park and Recreation Community Wellness Center in Littleton. Thanks to local purchases and widespread public support, visitors enjoy protected places to play through trail-based activities. Jeffco Open Space funds also support projects in cities and park and recreation districts, enriching life in every corner of Jefferson County. 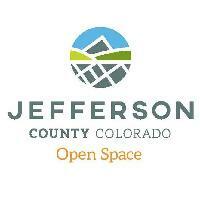 Jeffco Open Space is a credit to the foresight of engaged citizens. In 1972, PLAN Jeffco External Link Icon worked with the Board of County Commissioners and other local governments to adopt an enabling resolution and place a ballot initiative before Jefferson County voters. The creation of Jeffco Open Space provided funding of land acquisition, preservation, maintenance and trailbuilding. We work to fulfill our mission to preserve open space and parkland, protect park and natural resources, and provide healthy, nature-based experiences.